I’ve gotten a lot of requests for wedding photos and details! And wowzahs,there is just so much to share that I’ve decided to break it off into bite sized pieces so that all of us can digest and savor a bit at a time. So I figured I would start with wedding details! You know, the things you pour your heart and soul into to make your event extra fabulous and personal. 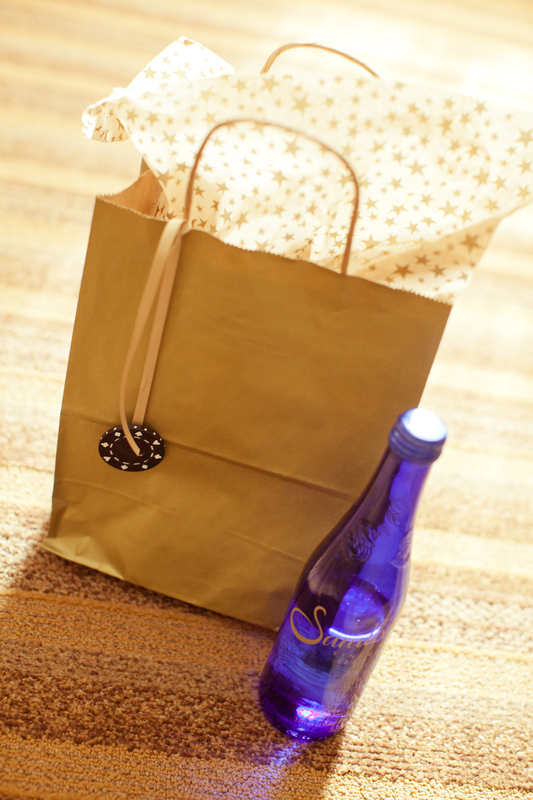 Starting with the welcome bags! AP and I were married in Saratoga Springs – home of lots of things including my alma mater (Skidmore College), the oldest horse race track in the country, and the first casino in the US (where we were married). 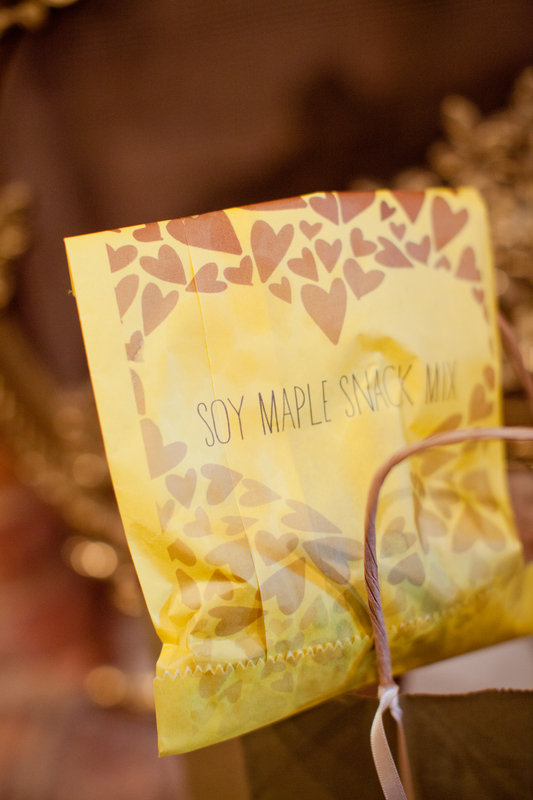 We kept the gift bags simple (and cost effective) and included Saratoga Water bought and picked up at their family-run office and manufacturing center in Saratoga Springs, some candies, and a bag of Soy Maple Snack Mix made in large batches by yours truly from a Food + Wine recipe. We included a welcome letter with all the weekend events, transportation details, and recommendations for restaurants. For the poker chip detail, I used kraft glue and glued all the poker chips to pre-cut ribbon, let them dry overnight, and tied each charm around the bag. Easy breezy! What about the Hershey’s kisses?? Nice post babe.